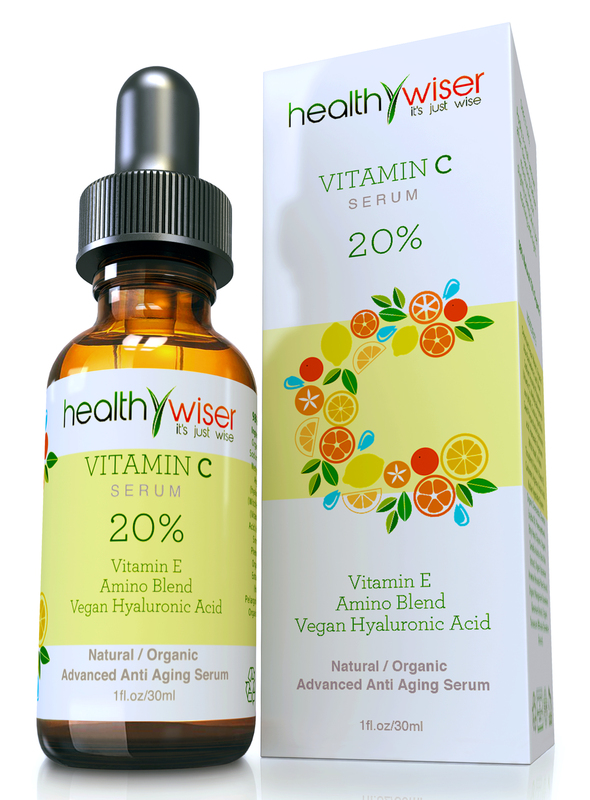 Healthy Wiser Vitamin C Serum is a natural and organic solution to your skin’s problems. Nothing can make you feel older than a dull, uneven, and dehydrated complexion. Diet, stress, smog, and time can all leave your skin feeling dry, dull, and unhealthy. We all want to look our best and sometimes go to great lengths to improve our appearance such as plastic surgeries, chemical peels, and laser treatments. And while these treatments may be effective – at least temporarily – they do nothing to feed your skin or improve its health. Our serum will infuse your skin with nutrients, neutralize free radicals and banish those awful age spots and sun damage. After using our Vitamin C serum your skin will feel dewy, smooth, and soothed. Our nourishing formula boosts collagen production that greatly reduces fine lines and wrinkles. And you can expect to see visible results in as little as two weeks with daily use. Cassandra’s Review- The serum can give nice results in just a few treatments. I like how the consistency is so pure and goes on without goo or oily results. It dries without residue and did not cause any rash or breakouts on my skin. Uwa G. is the winner!